DonorLogix works exclusively with hospital-based donor programs. 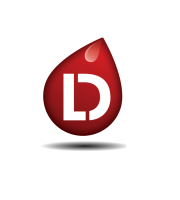 There are a variety of ways we help our Clients increase collections and improve staff productivity, however DonorLogix’s focus involves recruiting lapsed Donors and converting whole blood donors to apheresis. We have saved our Clients millions of dollars on 3rd-party blood product purchases. DonorLogix has perfected a recruitment methodology that maximizes the collections-potential of lapsed Donors. DonorLogix’s recruitment services do not disrupt our Clients’ recruitment operations, they complement them. DonorLogix is a safety net: when a Donor stops donating (99% eventually will) DonorLogix catches them, gets them donating again and on a regular basis. Most Donors need more than a reminder to prevent them from lapsing. DonorLogix’s recruitment methodology is built on Donor Preferences: every Donor is recruited based on his/her unique preferences. Recruiting each Donor based on how often they want to donate each year. Sending appointment confirmation postcards or emails. Calling a Donor after they miss an appointment to schedule them in the future. Cancelling a Donor’s appointment when he/she is experiencing flu-like symptoms and calling them back in a month (or two) when they are feeling better. Postponing a donation appointment for 9 months because a Donor got a tattoo 3 months ago. Fielding a call at 7pm because a Donor needs to change their appointment from 10am tomorrow to 1pm next Monday. Recruiting Donors who prefer to be contacted via email only. Emailing Donors who only want to donate at mobile drives in their home zip code. Reminding a Donor of their eligibility date after they were deferred for malaria-risk travel last fall. Surveying Donors and asking specific questions about how we can be more respectful when we recruit them. DonorLogix is successful because we have perfected a recruitment methodology that respects Donors. The Golden Rule is part of our corporate culture and ensures that which we do on daily basis is in the best interest of our Donors. Our Donors = Our Clients’ Donors. DonorLogix is very successful at converting previous whole blood Donors to apheresis. Historically, we increase a Client’s platelet collections by 20-25% in the first year of a partnership. Converting whole blood Donors to apheresis requires expertise and patience. DonorLogix Recruiters, when engaging Donors, filter key indicators like gender, blood type and previous donation history to know which Donors to recruit and when. Our Recruiters also reinforce Donor loyalty by sharing compelling, platelet-transfusion-recipient stories (anonymous, of course). Because DonorLogix Recruiters schedule platelet Donors for a 2-hour donation experience, many of our Clients are able to boast a 50%, apheresis-product split rate.